What’s there to say about Miranda that Miranda hasn’t already said about herself? Who is Miranda Sings? She’s got a highly successful channel on YouTube, she’s performed at theaters all across the world, she wrote a book and she’s even been featured on Jerry Seinfeld’s Comedians in Cars Getting Coffee and The Tonight Show Starring Jimmy Fallon. So without further ado, watch as I transform into the four threat herself (that’s singer, actor, dancer and model). 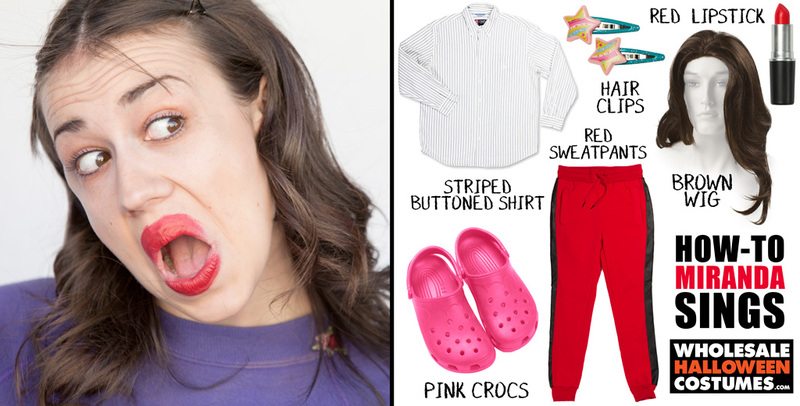 There are two parts to the ingredients needed to become Miranda Sings. Part one are the items. My costume came together with items scrounged from thrift stores and accessories found on the site. Part one is the attitude. Miranda is an egotistical, quirky character with a larger than life personality so if you’re going to dress the part, you’re going to have to act the part too! It’s time to suit up! 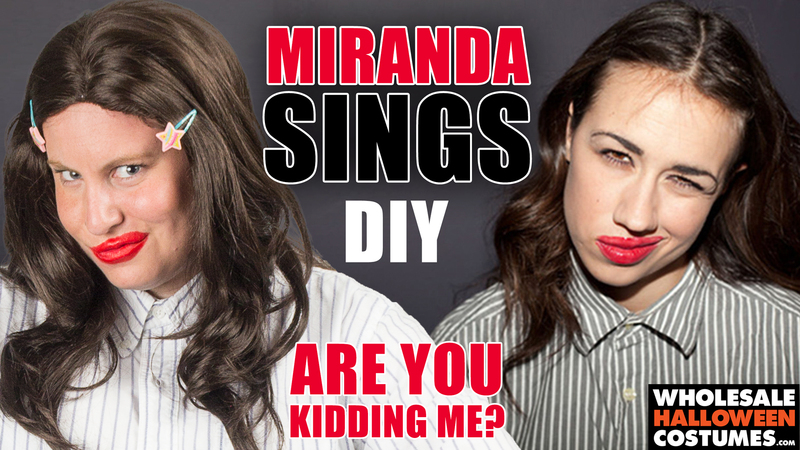 We’re hoping you know how to dress yourself but there are a few details you can’t forget when trying to be Miranda. For one, make sure to tuck in your shirt. No matter what shirt Miranda’s sporting from her signature buttons downs to her iconic cat shirts, it’s tucked in. More importantly, make sure to button that button down all the way up. The less skin you show the better! It’d be a sin to miss these tiny details. Whether you’re wearing a wig to get Miranda’s brown locks or you’ve got a head of brown hair yourself, you’re not going to want to forget her hairstyle. Part the hair down the middle and clip the hair at your temples to keep it off your face. Miranda is too beautiful to let hair fall into her face. Last but certainly not least, the lipstick. One of Miranda’s most noticeable features is her lips. Grab some red lipstick and go to town. The best part is that you can’t mess this up! Smear the lipstick on and around your lips and voila! You’ve successfully transformed into this international superstar. There you have it. Feel free to pin this GIF as inspiration for your own transformation. If you’re going as Miranda Sings this Halloween, don’t forget to share you pictures with us on our Facebook, Twitter or Instagram pages!